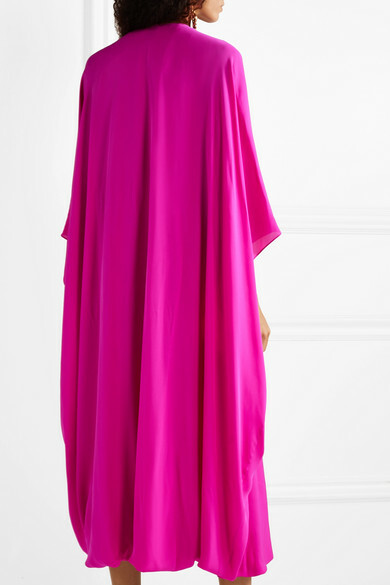 EXCLUSIVE AT NET-A-PORTER.COM. Reem Acra understands what makes women look and feel beautiful, which is why we asked the brand to create a capsule of dresses just for us. 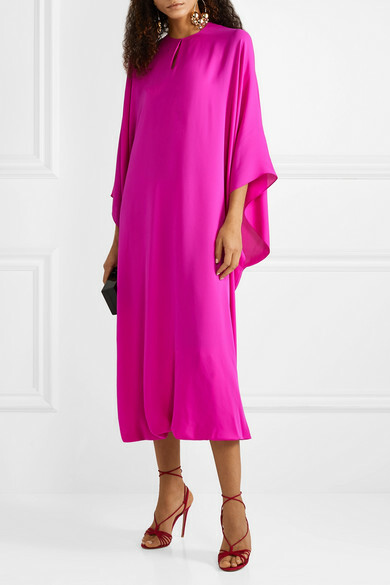 Made from swathes of billowing silk-georgette, this style has a draped silhouette that's universally flattering on all body shapes. 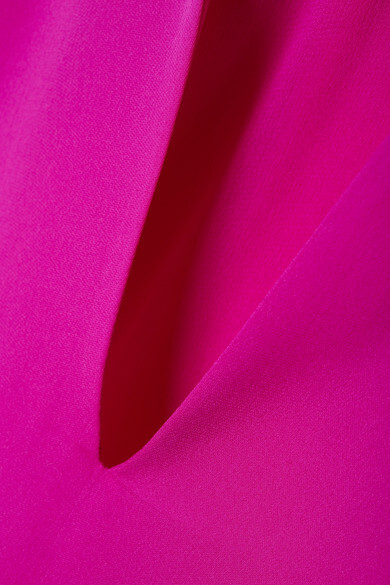 The bright fuchsia shade makes it perfect for a seaside dinner or destination wedding.